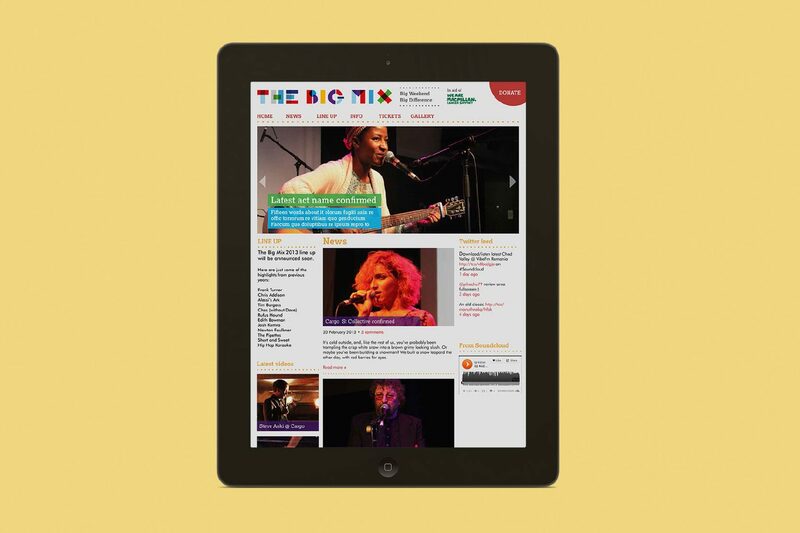 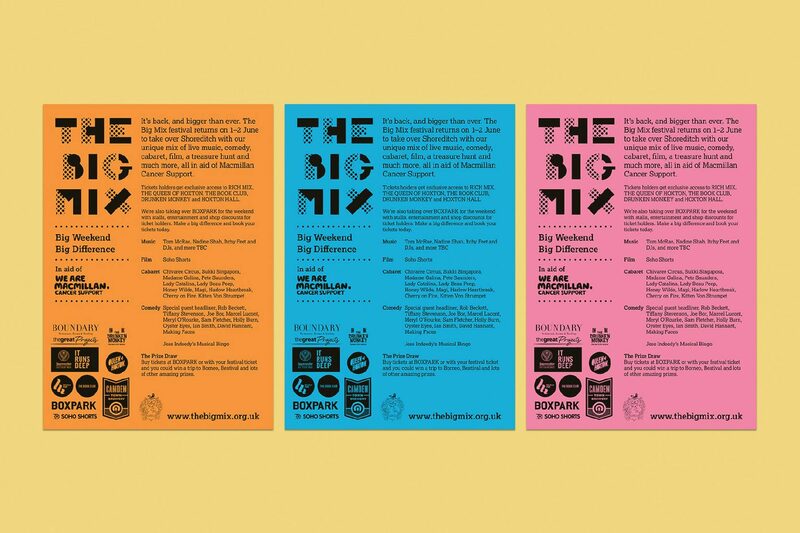 The Big Mix Festival, a unique blend of live music, comedy, film, and cabaret in the heart of Shoreditch. 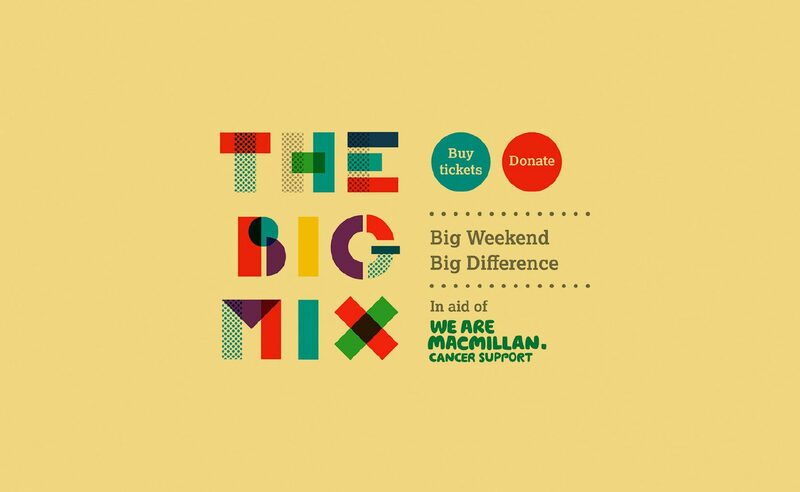 Usually organized by Macmillan, this year an intrepid team of dedicated volunteers took on the challenge, with all proceeds going to Macmillan. 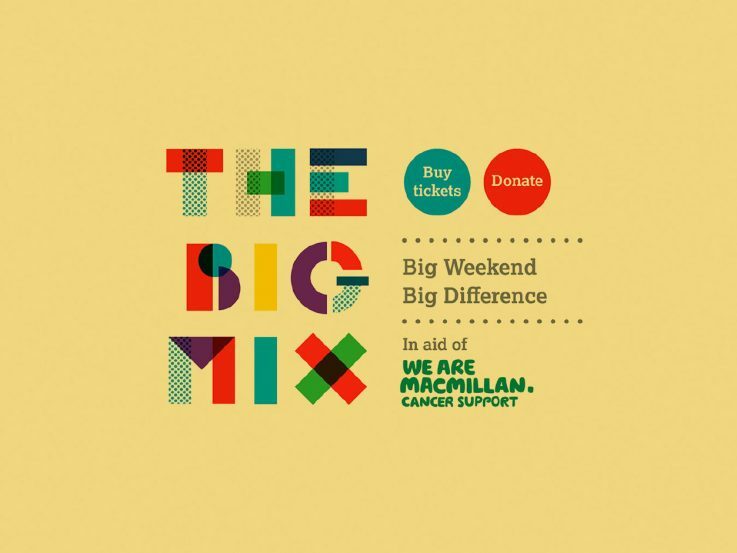 We were initially approached to design the logo but rapidly took on a more strategic role working with the new Committee to move away from its strong association with the Macmillan brand, and position itself as fun and bold event to rival the likes of Lovebox, Field Day and the Camden Crawl. 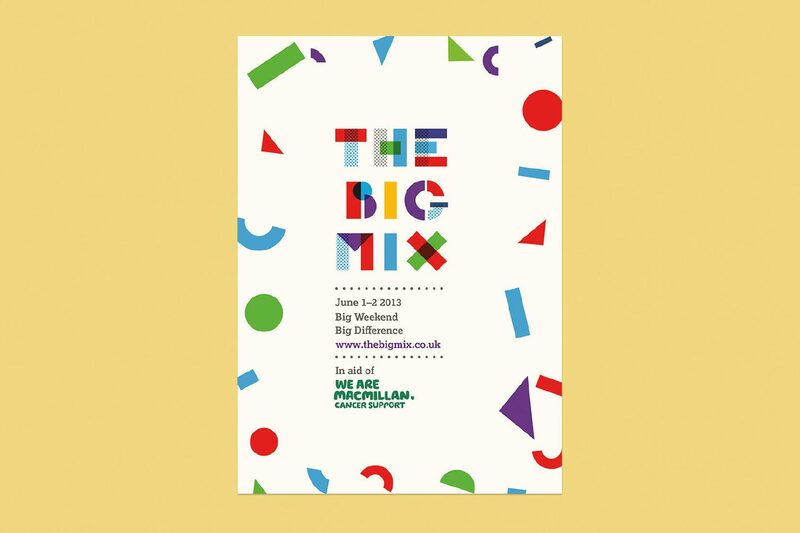 We created a new bold and flirty event branding that reflected the colourful and multifaceted nature of the The Big Mix, allowing for different combinations of colours and textures to work together. 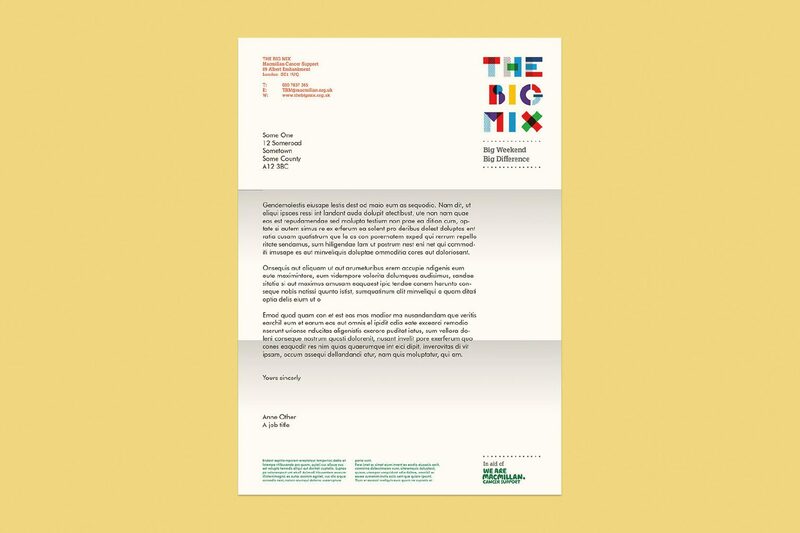 Offering a flexible design system to represent the different elements of the festival, the new identity was rolled out across the website, flyers, posters, programs, t-shirts, wrist-bands and other collateral.